and the interior is every bit as nice as the exterior! They have a patio in the back too. Very nice! 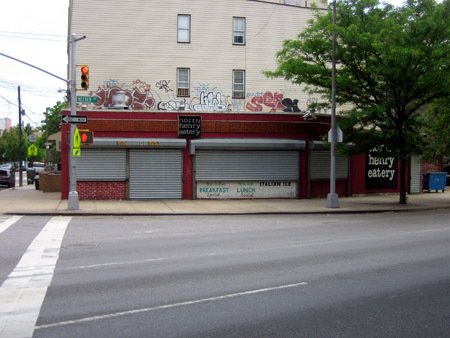 as is the North Henry Eatery one block away on Meeker. I haven’t tried either of these yet, but I am looking forward to the experience. 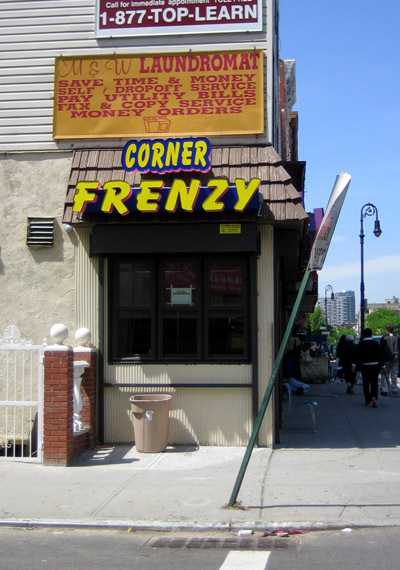 Anyone who lives in this part of Greenpoint will probably agree with me when I say that this area has been under-served on the restaurant front for way too long. 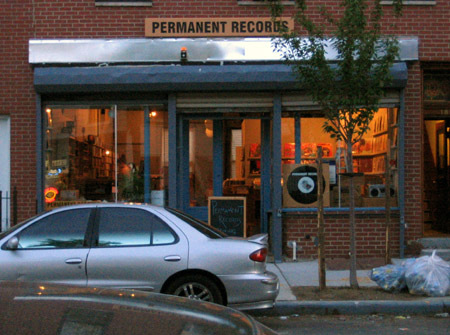 Permanent Records (at 181 Franklin Street) is slated to open this week too! 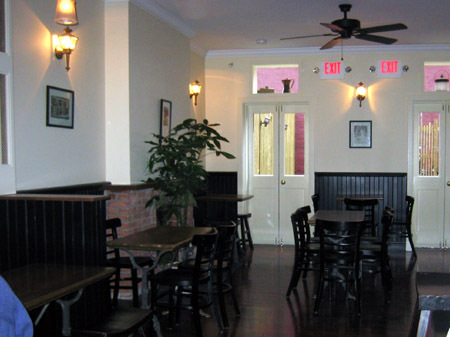 And last— but hardly least— my homegirl over at 11222 has brought a new vegetarian restaurant to my attention: The William Taft Vegetarian Diner. 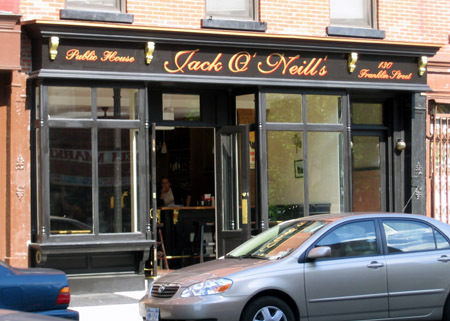 Everything I’ve heard about Jack Oâ€™Neillâ€™s has been lukewarm. 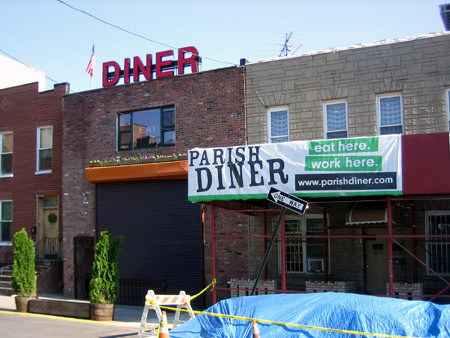 Main reason being that it lacks the usual grunge of the surrounding bars. I’ll have to visit at some point to see for myself. There’s also talk of a super-megaplex 2-story sports bar going in across from Coco and Paloma. Sounds like a true gem. 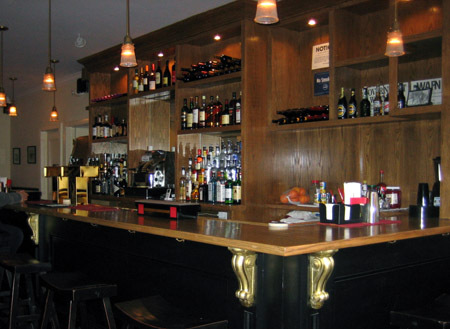 The William Taft diner opened today (June 5th). The food is pretty cheap and best of all they’re open everyday until Midnight.